The Middle East is a region that generates the most interest among key players on the world stage, such as Russia, the United States and China. The region’s importance stems from economic factors (as it is home to vast hydrocarbon deposits and a large pool of human resources) and security issues, since the nations in the Middle East are often embroiled in military conflicts, whose ramifications (in the form of terrorism) can spread throughout the world. 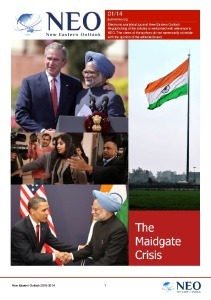 Hence, world powers continuously monitor the situation in this region and try to increase their influence there. The Middle East is not a homogeneous zone, as there are quite a few differences and disagreements among certain states and allied countries in the region. Therefore, each nation or organization requires a unique approach. For instance, some countries in the Middle East are part of the Arab world, which connects the nations of Asia and Africa with the Arab population. It is a place where most people practice Sunni Islam and the Arabic language is widely spoken. Almost all of the Arab world nations are members of the Arab League, with the exception of Western Sahara (a disputed territory whose political future remains undecided), Syria and Libya. The Arab League suspended membership of the two latter nations in 2011, and accused their governments of exhibiting cruelty while suppressing mass protests and using violence against peaceful demonstrators. Russia collaborates with the nations of the Arab world on a bilateral basis, and within the framework of the Arab League, which is why the Russian-Arab Cooperation Forum was established in December 2009. In February 2013, Moscow hosted the First Session of the Forum, where Ministers of Foreign Affairs of member-states met. They discussed key problems plaguing the Middle East and North Africa, including those linked to security issues. The participants from the Russian Federation and the Arab nations affirmed their shared views on these issues, and adopted a joint Plan of Action, which describes means of political and economic cooperation between Russia and the Arab League. The next Forum took place in the capital of Sudan, Khartoum, in December 2014. At that time, participants discussed peaceful and lawful ways of resolving military conflicts in Syria, Libya, Iraq, Yemen and other countries, where wars were being waged. In addition, they expressed hope that the Israeli–Palestinian conflict would end quickly and a truly sovereign State of Palestine would be established. 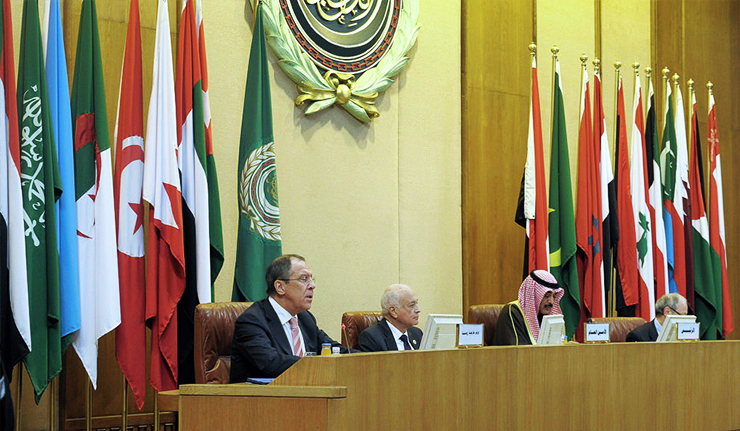 The Third Session of the Russian-Arab Cooperation Forum at the foreign ministerial level was held in Moscow, in February 2016. At the time, the parties once again adopted a Plan of Action (for 2016 – 2018) on establishing peace and ensuring security in the Middle East in compliance with international laws. The participants supported an initiative, proposed by Russia’s President Vladimir Putin, to create a broad anti-terrorist coalition under the auspices of the United Nations. Special emphasis was made at the Session on restoring peace and the rule of law in Syria. Shortly before the Forum, in September 2015, Russian forces arrived in Syria to provide military aid to the regime of the elected President of Syria, Bashar al-Assad. Not all of the Arab nations back the Syrian government, and, for instance, Qatar, the UAE and several other Arab nations, which support the Syrian opposition armed forces, spoke in favor of toppling this regime. However, owing to Russia’s diplomatic efforts and military successes enjoyed by the Russian armed forces in Syria, these countries have now softened their critical rhetoric. The Forum’s Fourth Session took place in February 2017. Yet again the focus was on security issues and peaceful resolutions of conflicts. The participants agreed to coordinate their efforts on the sidelines of the United Nations, as they attempt to resolve military conflicts by peaceful means, and demand that the international community join forces to combat terrorism and condemn Israeli actions towards the partially recognized State of Palestine. In addition, the attendees agreed to facilitate Vladimir Putin’s initiative and arrange negotiations between the leaders of Israel and Palestine. The next Russian-Arab Cooperation Forum is scheduled to take place in the middle of April 2019, in Moscow. At the beginning of March 2019, in anticipation of this event, the Foreign Minister of Russia, Sergey Lavrov, visited Qatar, Saudi Arabia, Kuwait and the United Arab Emirates (the UAE), as these are some of the most influential nations in the Arab world. On 4 March 2019, Sergey Lavrov arrived in the capital of Qatar, Doha, and met with the head of state, Emir Tamim bin Hamad Al Thani. While discussing the Syrian issues, the leader of Qatar expressed his appreciation of the efforts made by the Russian Federation towards resolving the military conflict in Syria by peaceful means. However, Qatar is far from ready to support reinstatement of Syria’s membership in the Arab League. In addition, Sergey Lavrov met with the Minister of State for Defense, Khalid bin Mohammad Al Attiyah, and they discussed the possible purchase of Russia’s anti-aircraft weapon systems, S-400, by Qatar. On the same day, the head of Russia’s Foreign Ministry left Qatar and arrived in Riyadh, the capital of Saudi Arabia. There, he met with the Minister of State for Foreign Affairs of Saudi Arabia, Adel al-Jubeir. The diplomats discussed topics ranging from cooperation between Russia and Saudi Arabia to peaceful resolutions of the Syrian and Palestinian issues. It is common knowledge that Saudi Arabia is capable of exerting influence on the Syrian opposition armed forces, and may make its contribution towards restoring peace in that region. The next day, Sergey Lavrov met with the King of Saudi Arabia, Salman bin Abdulaziz Al Saud. They engaged in discussions about military conflicts in the region and issues facing the global crude oil market, in which both Saudi Arabia and the Russian Federation are very significant players. In Saudi Arabia the Russian Foreign Affairs Minister also met with representatives of the Syrian opposition armed forces, who he urged to assist in the efforts to establish a committee tasked with drafting a new constitution for post-war Syria. Then Sergey Lavrov traveled to Kuwait and met with its leader, Sheikh Sabah Al-Ahmad Al-Jaber Al-Sabah, and Sabah Al Khaled Al Ahmad Al Sabah, the Minister of Foreign Affairs. As before, Kuwait expressed its support towards Russian Federation’s stance on Syria. In addition, they talked about enhancing the level of cooperation in the economic sphere and in the global hydrocarbon market, and about increasing trade turnover between the two nations. At the end of the meeting, Sergey Lavrov stated that Russia and Kuwait were working on dozens of investments projects together, which are, in total, worth nearly $200 million. He also said that the Russian Federation and Kuwait affirmed their shared intention to strengthen ties of friendship between the two nations. The last destination of the Russian diplomat’s foreign tour was the United Arab Emirates. Sergey Lavrov engaged in negotiations with the Crown Prince of Abu Dhabi, Mohammed bin Zayed Al Nahyan; the Minister of Foreign Affairs, Abdullah bin Zayed Al Nahyan, and the National Security Advisor, Tahnoun bin Zayed Al Nahyan. The main topic of discussions was once again the situation in Syria. The parties also talked about the state of affairs in Yemen, Libya and the Israeli–Palestinian conflict zone. In all the discussions, emphasis was made on the need to comply with international laws, and respect every nation’s sovereignty and territorial integrity. 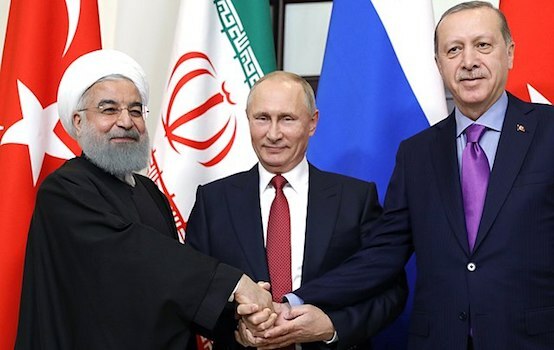 It is worth noting that among the nations of the Persian Gulf that Sergey Lavrov visited, just as in the rest of the Arab world, there is no unity. For instance, the relationship between Qatar, a country the Russian diplomat went to first, and other Arab nations is strained because of Qatar’s ambitious policies, its cooperation with Shiite Iran, and its support of several armed groups, labeled as extremist by other countries. In 2017, Saudi Arabia, the UAE, Bahrain and Egypt severed diplomatic ties with Qatar and attempted to initiate a trade boycott against it. At the time, Russia immediately urged these nations to start negotiations and reconcile their differences. When conflicts arise between or within the nations of the Arab world, the Russian Federation aims to take on the role of a peace keeper and a moderator between conflicting sides, and to ensure compliance with international laws and the UN charter. Undoubtedly, this has helped Russia consolidate its power and influence in the Arab world. As a result, in June 2018, Mahdi al-Mashat approached the leadership of the Russian Federation for assistance. He is the head of the Houthi movement (the Yemeni Shia opposition) that the Yemeni government military and Arab coalition forces (which include Saudi Arabia, the UAE and other nations) are engaged in armed conflict against. The Houthi leader urged Russia to exert its influence on the international community in order to at least temporarily put a stop to the fighting and end the trade embargo, imposed by Saudi Arabia and its allies, that has resulted in mass starvation and threatened the lives of millions of civilians. In October 2018, a delegation comprising Houthis arrived in Russia and requested that it take on the role of a moderator between the opposing sides. According to Malik Al Ajri, a high-ranking member of the Houthi organization Ansar Allah, the stance taken by the Russian Federation is well-balanced and congenial to all the sides. Hence, Russia could take on the role of a mediator in the Yemeni conflict and act as an aid to the UN. This unexpected request may be a sign that the Russian Federation has earned respect and influence in the Arab world with its actions. Russia appreciates the faith placed in its hands, and intends to continue its work by supporting unity in the Arab world and stability in this far from tranquil region.